August 10, 2016, 3:09 p.m. The Conservatives’ new Prime Minister “bounce” may now be coming to an end, with the party dropping four points to 38% in YouGov’s latest voting intention survey. Labour has seen a three point recovery to 31%, although they are still performing below their pre-referendum figures. The Conservative lead of 14 points last week has now halved to seven. What remains to be seen if the drop is just a blip, or if it stabilises at this level or shrinks further. Elsewhere, UKIP is up one point to 13% and the Lib Dems remain static on 8%. The number of votes going to other parties is up one point to 11%. 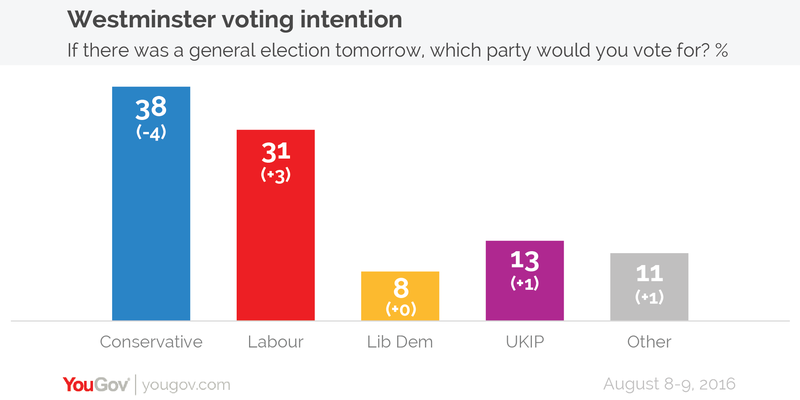 Whilst the voting intention figures might give some cheer to Labour supporters, things are not looking any better for Jeremy Corbyn personally. 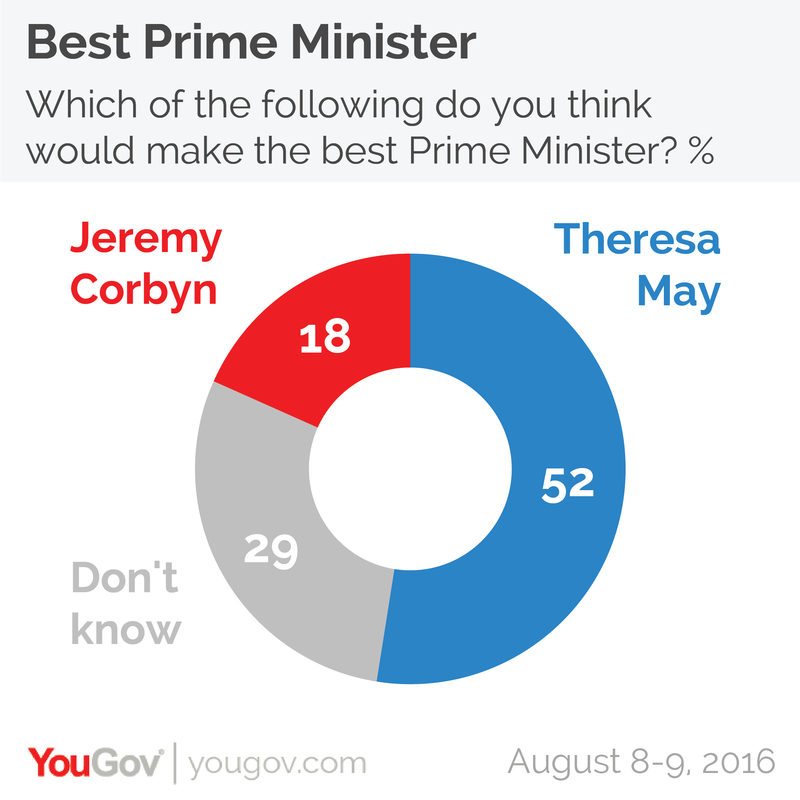 For the third week running, perceptions of who would make the best Prime Minister remain unchanged, with 52% of people opting for Theresa May and 18% for Corbyn. There is no significant change in attitudes to Brexit, with the number of people who believe it was right to vote to leave the EU down one point to 45%, whilst the number of people thinking it was the wrong decision is up two points to 44% (a further 12% don’t know).